As most everyone is aware, Pedal Finder teamed up with EarthQuaker Devices to giveaway an Afterneath. You can find out all about how to win that Afterneath right here! It’s really easy, so when you get done with this post, carry on over to there and share the news with your friends! 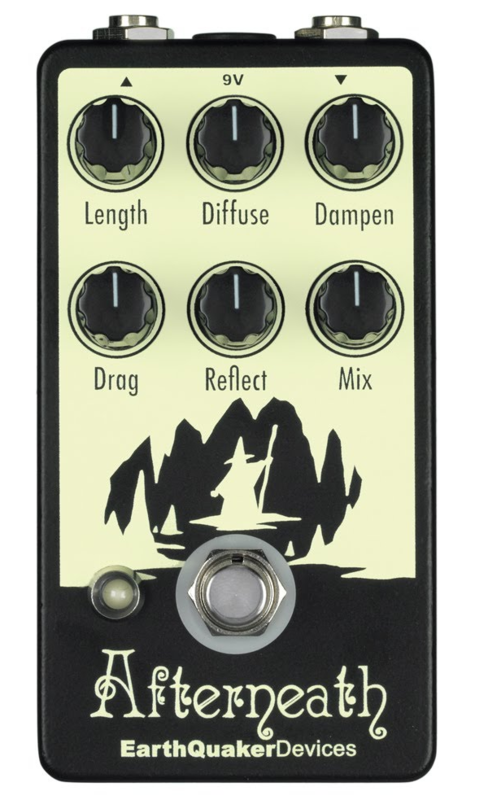 The Afterneath is a reverb pedal, but really it’s a lot more. The controls really let you dial in a ton of cool reverberation effects over the top of each other, resulting in a wide variety of cascading tones. One reviewer on Pedal Finder wrote, “This pedal creates the reverb of your dreams and in between that reverb it creates a swelling delay that is reminiscent of an orchestra warming up before an explosive performance.” This isn’t hyperbole, this is true love. This isn’t the only review out there with 5 stars, there are plenty more where this came from. So head on over to the reverb review page and check out what others are saying about the reverbs they’ve owned. And while you are at it, stick around and leave a review of your own and maybe win an Afterneath in the process. Finally, here’s a video of 10 reverbs sounding off.